date | hmm, okay, the impressionists began in the late 1800's so i'm going to say 1885? three facts | monet and the impressionists cared less about painting a realistic portrayal of their subject matter, and more about capturing a moment in time - a moment of light. 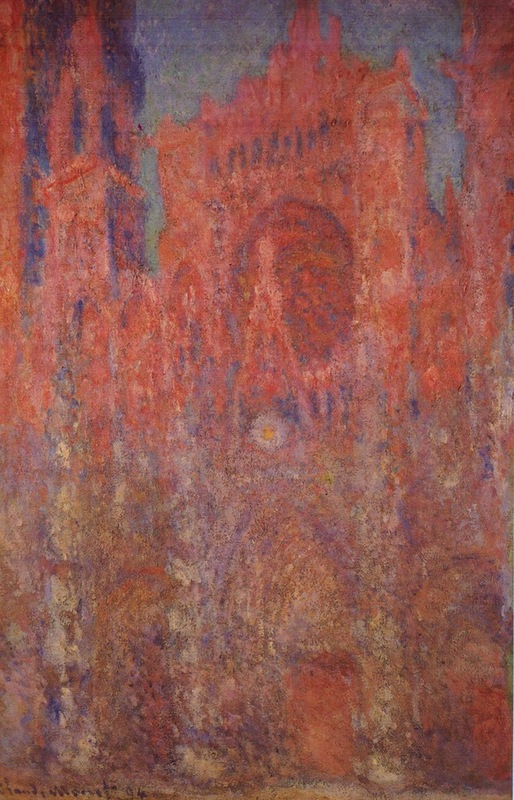 monet painted the rouen cathedral over and over again* at different times of the day simply to capture the various forms of light it reflected. this is why you'll see this same subject matter in red, blue, green and yellow. title | rouen cathedral, facade.